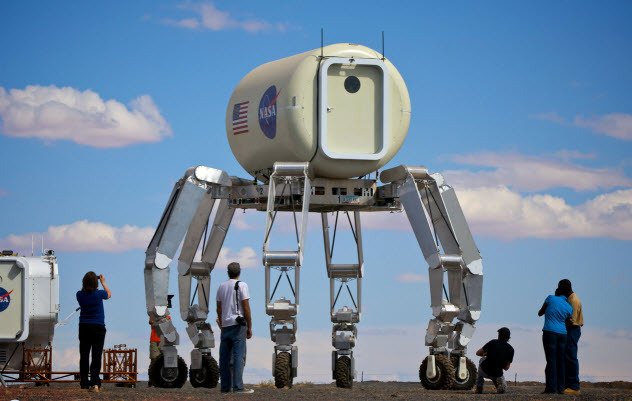 To do this, Startram will not use rockets, propellants, or ionic drives. Instead, it will use electromagnetic repulsion. The concept is an old one in science fiction and an awesome one in practice, with real-life levitating trains currently ferrying passengers at nearly 600 kilometers per hour (370 mph). 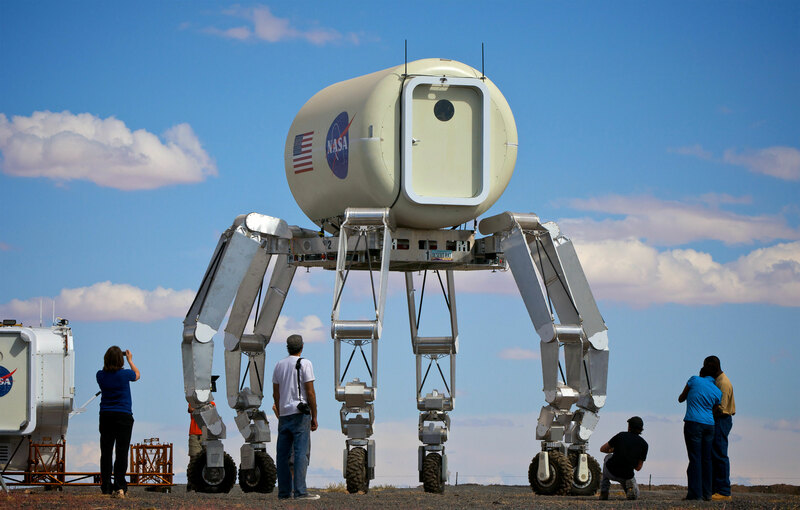 With Mars and Europa looming, the prospects for future spacefaring are mouthwatering. Barring any global plagues or world-destroying meteors, NASA hopes to man the Martian surface within the next two decades. To expedite a Mars trip, NASA has delegated Martian architecture to others by sponsoring a design competition for economically viable, 3-D-printed Martian habitats. 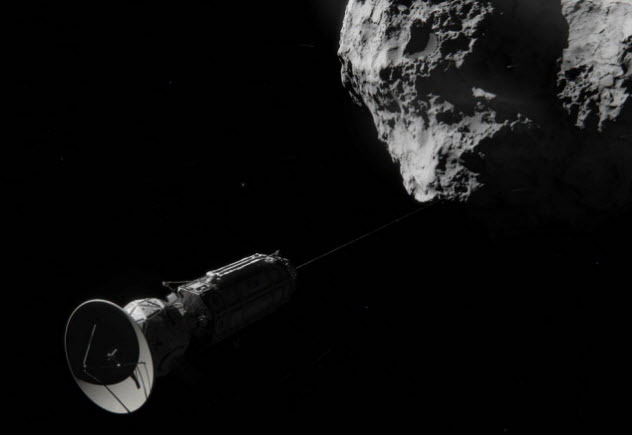 Honeybee Robotics recently received NASA funding to pursue two novel technologies as part of a collaborative effort known as the Asteroid Redirect System. The overall aim is to know our asteroid enemies so that we may plan for cosmic threats in the future. But luckily, there’s enough room in the budget for a little destruction as well. The first technology is a bona fide space shotgun. It will unleash a salvo of pellets at target asteroids to determine their solidity. Eventually, a boulder will be plucked from the asteroid’s surface with robotic claws and steered into orbit around our Moon. Assuming we’re able to avert a self-inflicted doomsday, manned expeditions will then be able to explore an asteroid—and Earth’s new satellite—with unprecedented leisure. NASA expects that its first target will come from one of these three asteroids: Itokawa, Bennu, or 2008 EV5. 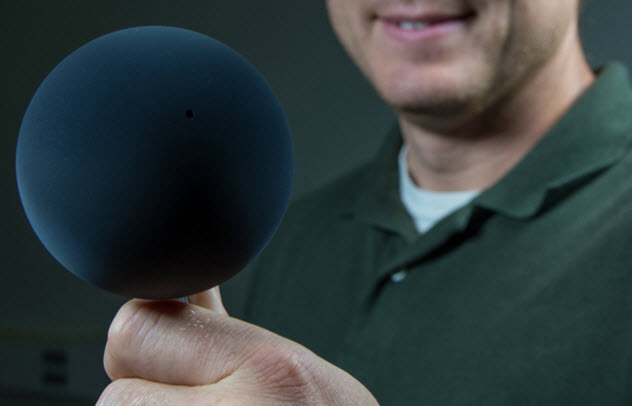 The second innovation is Honeybee’s handheld Nano Drill for retrieving asteroid samples. It weighs under 1 kilogram (2 lb) and is about as wide and long as a smartphone. The two-actuator drilling system removes small cores from the asteroid at different depths and can be deployed by robots or astronauts during an asteroid space walk. 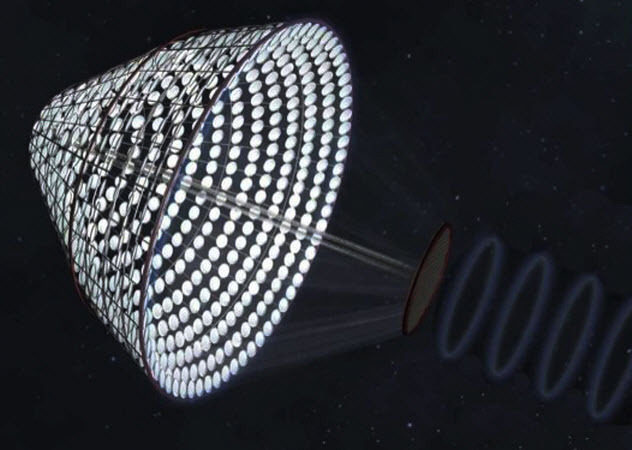 The SPS-ALPHA is an orbiting solar energy generator, plated with tens of thousands of thin film mirrors that are individually positioned to leech precious energy from the Sun. The stored light is converted to a microwave beam and shot to Earth, with the potential to provide thousands of cheap megawatts. Other than dutifully beaming energy to Earth, the SPS-ALPHA system also opens up new avenues for space exploration, an industry that’s often limited by the availability of cheap power sources. Many satellites currently run on the mechanical equivalent of a bowl of gruel. An orbiting solar generator could pole-vault humanity into space by supplying much-needed wattage to traveling spacecraft as well as outposts on the Moon or in Earth orbit. However, several monumental challenges remain. For example, an SPS platform as described here would be larger than the International Space Station. It’s the equivalent of building our own Death Star in terms of man-hours clocked and joules expended by the small army of astronaut welders, technicians, and smiths necessary to build the thing. Due to its elephantine dimensions, it must be constructed in orbit, necessitating at least a couple of space factories worthy of science fiction. Thankfully, the SPS system is primarily made of relatively small, easily mass-produced elements, reducing the challenge from impossible to extremely hard. 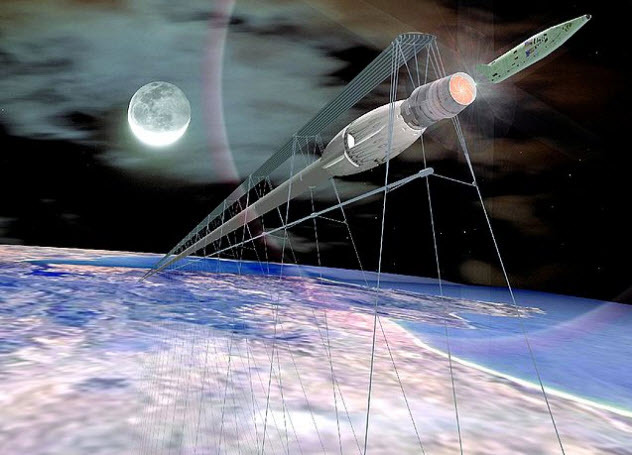 Objective Europa is the craziest most ambitious exploratory mission ever proposed. It aims to send men to Europa, one of Jupiter’s moons, aboard a submarine to search for life in Europa’s subterranean ocean. So how do the astronauts get back? Well, here’s the thing: They don’t. Some poor souls must knowingly sacrifice themselves for the grandest scientific mission ever attempted by man. Even though we can reach Europa with existing technologies, such a venture is for the far future as we haven’t even peopled the nearer planets and moons. Kristian von Bengston, Objective Europa’s spiritual leader, designer, and architect, basks in the challenge of the nearly impossible nature of the expedition. Bengston is currently crowdsourcing the project, both to gauge feasibility and to discuss other potential expeditions to outer bodies. The submarine must have a set of implements worthy of Inspector Gadget, including a beefy drill, multidirectional thrusters, floodlights, and possibly a couple of robotic manipulator arms. The craft and submersible also require an exceptionally hardy radiation shield because Jupiter produces its own deadly radiation and traps more from the Sun. Scouting an ideal landing site is of utmost importance because it’s believed that some regions of the frozen moon are better insulated from charged particles. Also, as the ice is many kilometers thick in most places, the lander must touch down near ravines or cracks where the crust is thinnest.